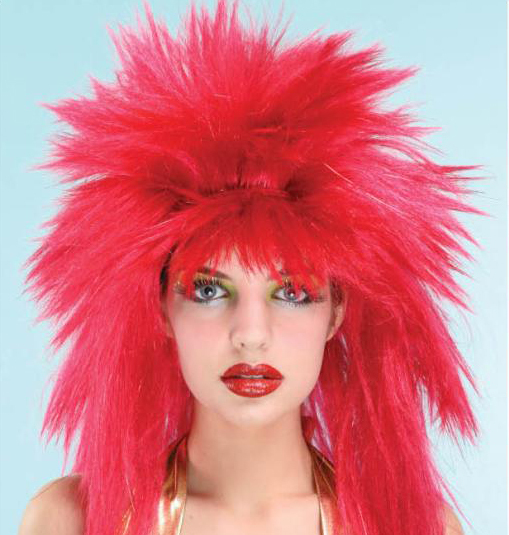 Full long spikey red wig with glitter highlights. Fantastic spikey Glam Rock pink wig with glitter highlights. 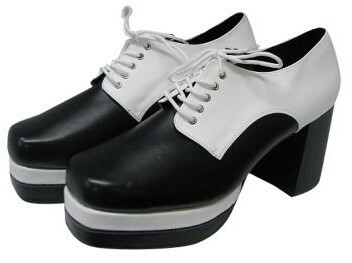 Black and white gangster look glamrock platforms.